When you arrive, first time visitors watch a short and thankfully humorous instructional video. It breaks down the pre, during and post float steps, saving the staff from having to give the same spiel repeatedly. You are then shown to your private float room where they give you a quick tour of where to find everything mentioned in the video such as the float kit, light controls, and the head rest. 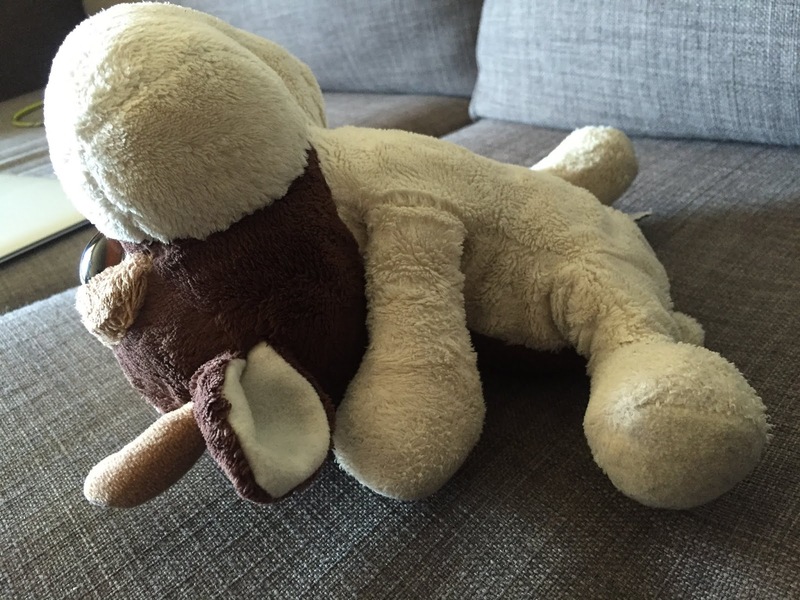 They also mention a few helpful tips to make your first float more comfortable and enjoyable. One very helpful tip was to make sure you take a room temperature shower before you float and not a hot one, otherwise you’ll feel cold floating in the room temperature water. 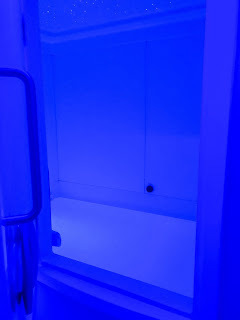 It feels odd at first to step into the float room, which is separate from where you shower and change, and just lie back and let go. It is an enclosed room but quite spacious, so you won’t feel claustrophobic. What took the longest to get used to was figuring out a floating position that was comfortable for me. I can’t say how long it took, as you have no sense of time. But once I felt comfortable with water in my ears, And was able to being myself to turn off the lights, it was a very relaxing experience. I’m the type of person who has problems shutting off my brain, as I’m constantly thinking about something. 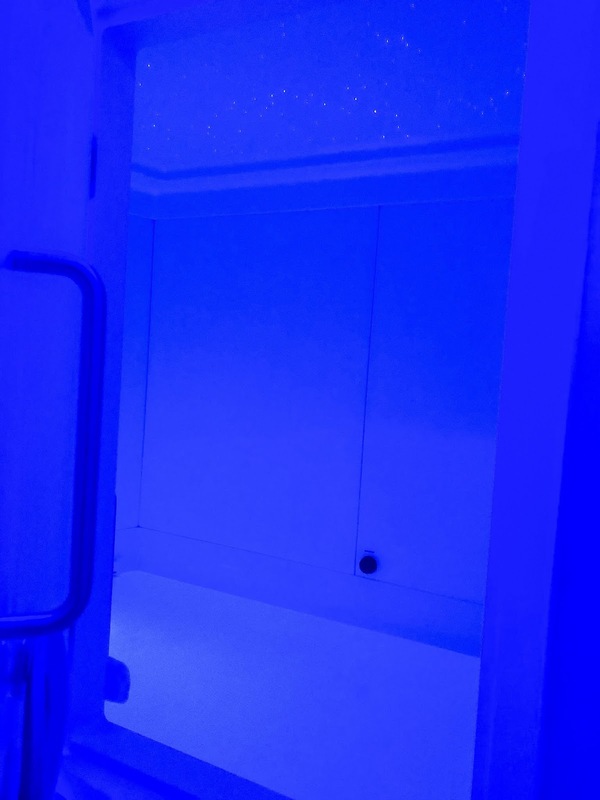 However, the float rooms are sound proofed and with the lights off, the lack of sensory stimulation leaves you with nothing but the sound of your own heart beating and your breathing. I found it much easier to let my mind empty and concentrate on only these sounds and the stillness. Once I got to that point, the time seemed to pass incredibly quickly and before I knew it, music was gently being piped into the room to let me know my time was up. Once I got out and dressed, I was able to relax for a bit in their lounge area, and enjoy a cup of hot tea. I definitely could have fell asleep after that had it not been so early in the day. You need to book in advance, but that can be done online, on the phone or via text! Float prices range from $65 for a single float to $39/month for their Float Club Membership which gives you one float a month and additional floats at a discount. I enjoyed it so much that I’m going again this weekend when I’m in town. I highly recommend anyone who has the same problem I do with tuning the world out and relaxing give Modern Gravity Float, well, a float!